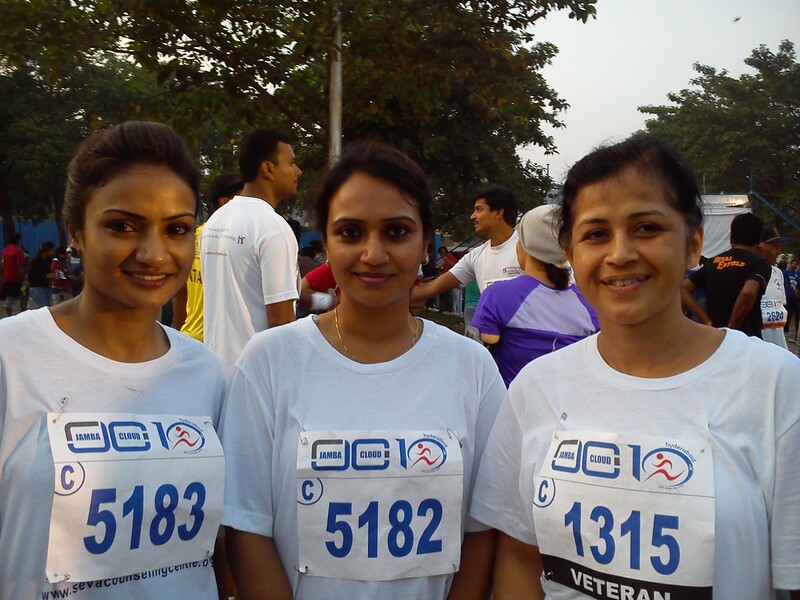 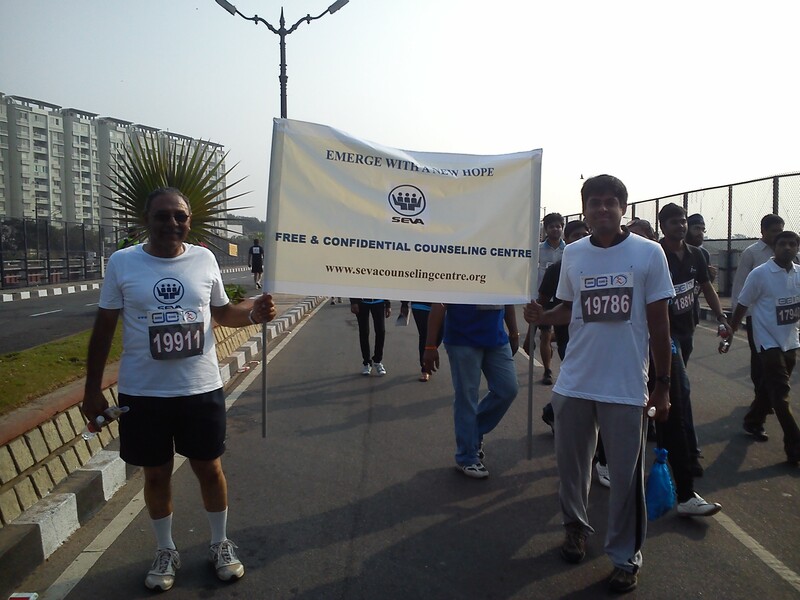 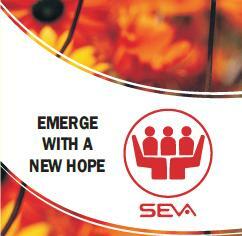 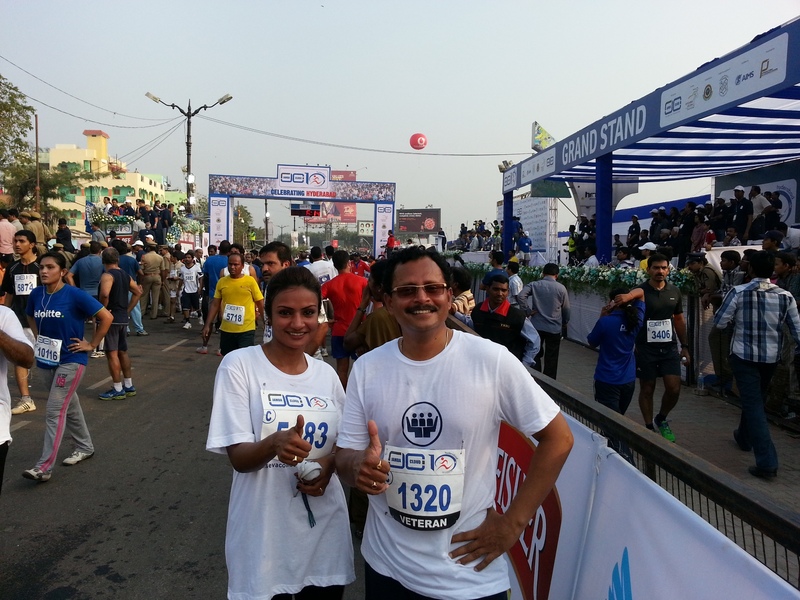 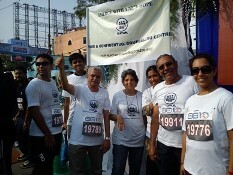 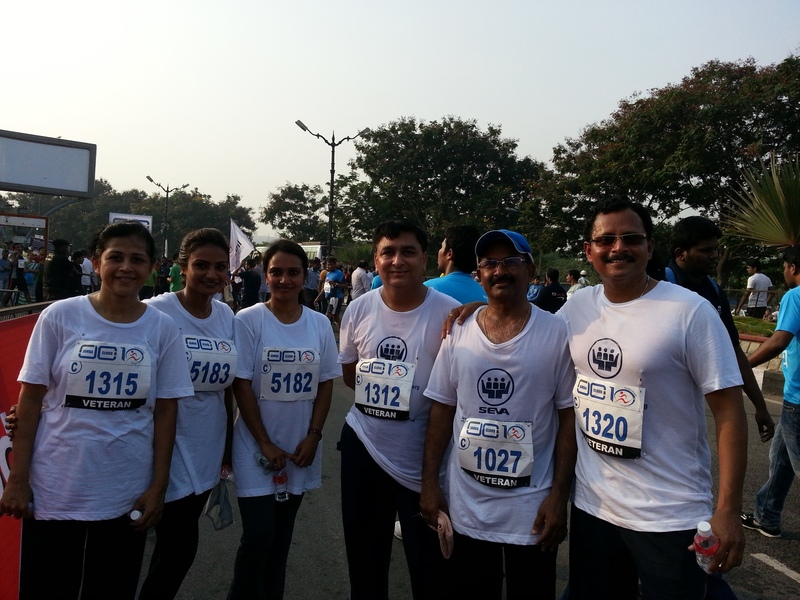 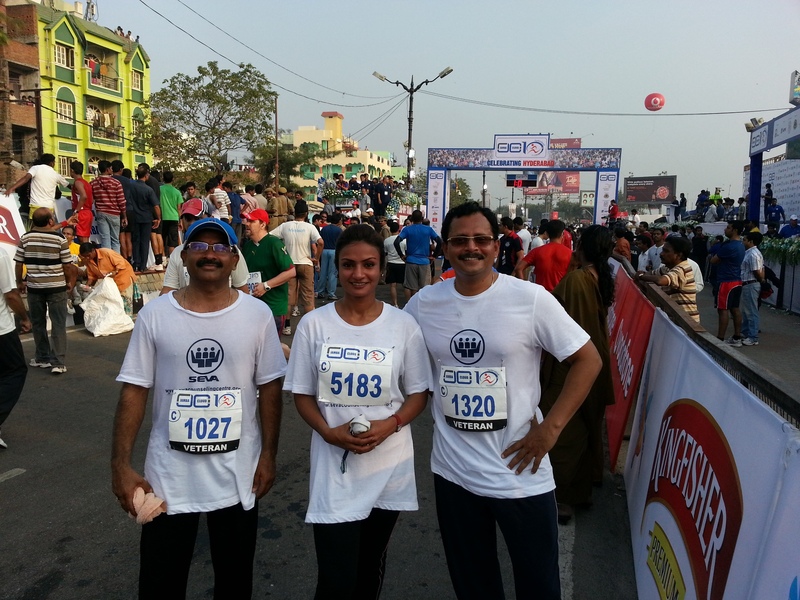 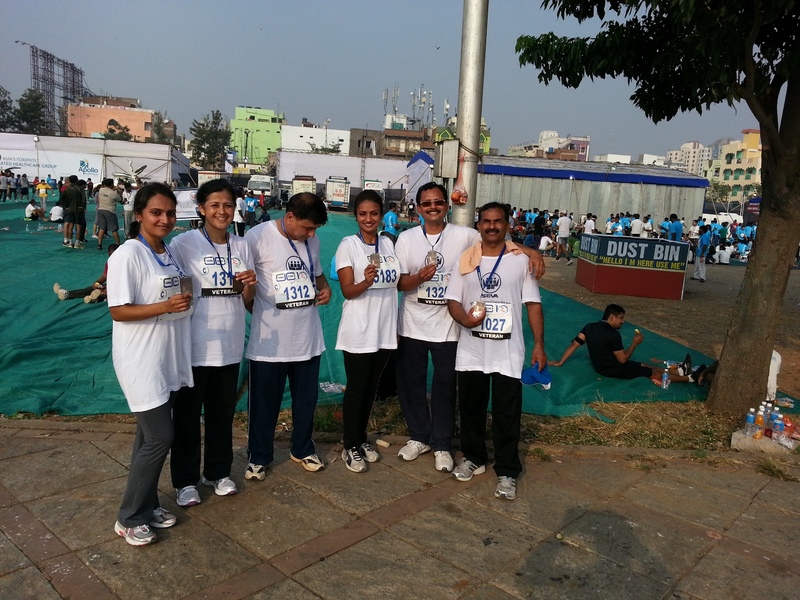 Seva participated in the 10K/7K run on a fun filled healthy sunday, 25th Nov, 2012, at Necklace Road, Hyderabad. 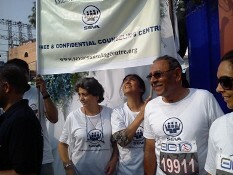 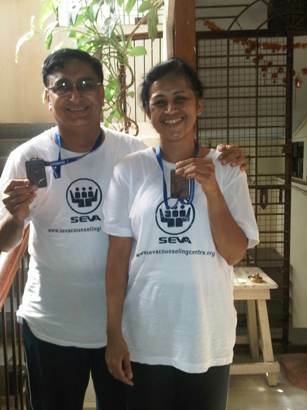 There were 8 participants in 10K run (two from Bangalore) and 25 participants in 7K (Mazza run) representing Seva. 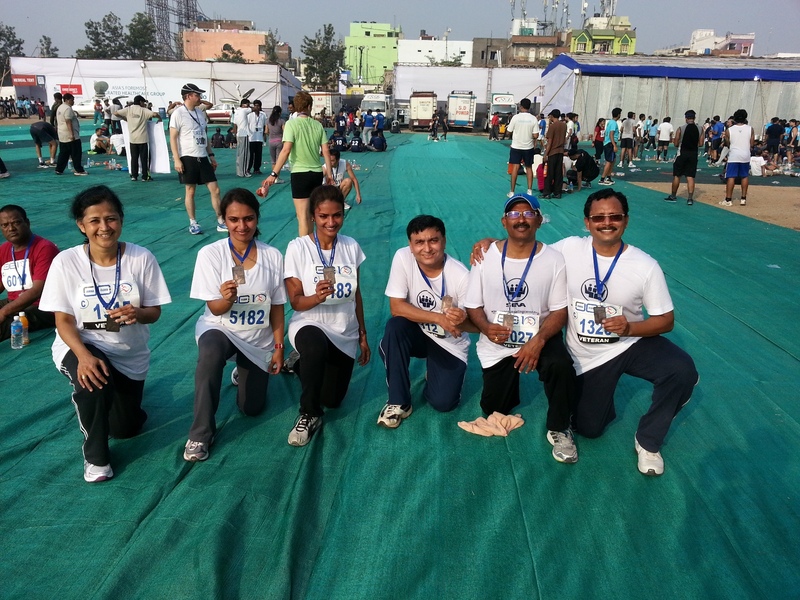 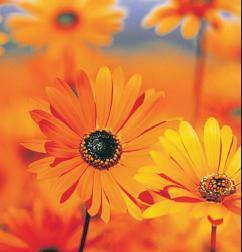 We had a wonderful experience. 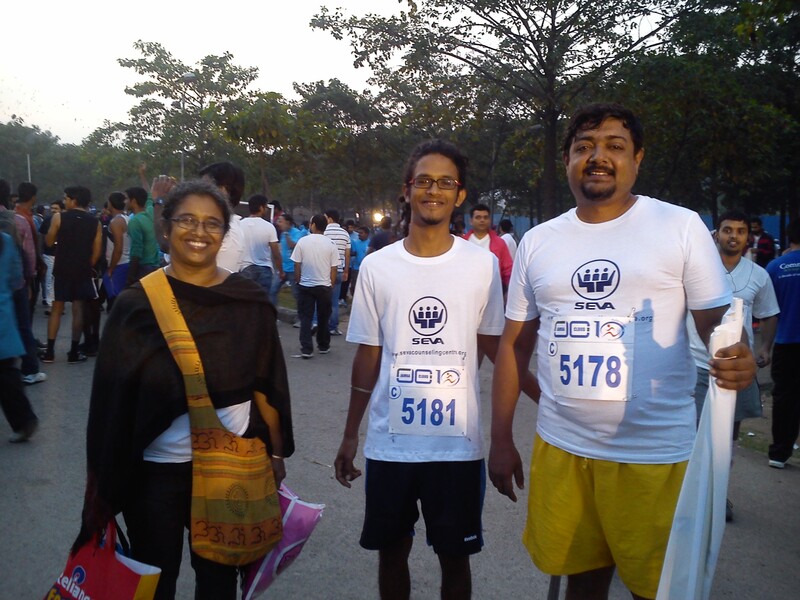 It was so meticulously planned and the whole event went flawless. From the time we registered, collected our timer, bib etc, till the race day.. things were so smooth and there were friendly volunteers all the way, all the time. 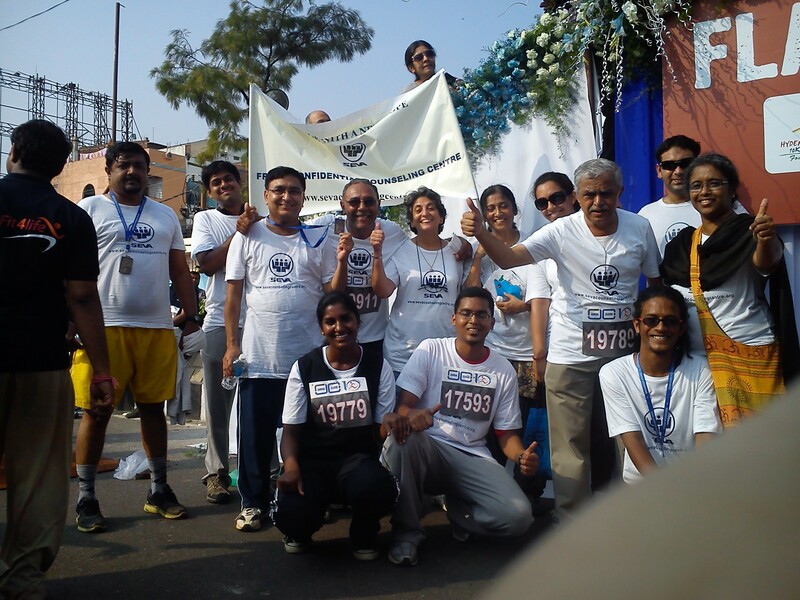 A BIG thank you from the Seva family for the successful completion of the event & 3 cheers to United way of Hyderabad, Procam International and all the volunteers who made this event a big success.